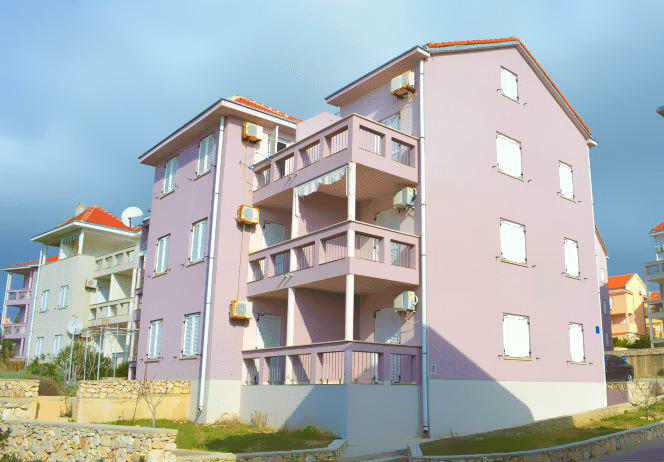 We offer you accommodation in our 4 apartments in a quiet location in Novalja. From the beach Zrce we are located approx. 3 km, and the beach "Planjka" approx. 2 km. Apartments are equipped with air conditioning and TVSAT, two apartments have a sea view. By the main center have approximately 10-15 minutes by foot, bus station is approximately 100m from the apartment. We hope you have a pleasant vacation in our apartments, have fun on the beach Zrce and walk along the coast. Enjoy your stay! N +44° 33' 51" | E +14° 52' 42"